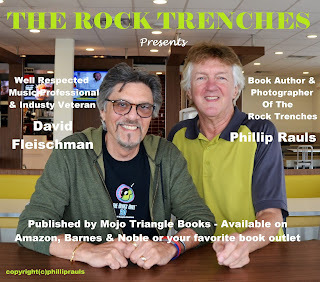 Music lovers and photo enthusiasts are feasting on the array of captivating stories and newly discovered photographs in the new book "The Rock Trenches ~ Journal of a Music Industry Executive" by Phillip Rauls. Published by Mojo Triangle Books, a division of Sartoris Literary Group, the book is available at Amazon, Barnes & Noble or your favorite bookstore. 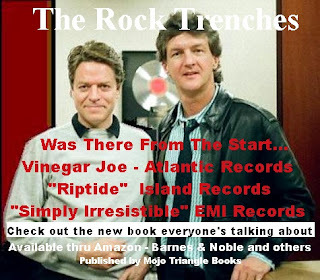 Available in both Kindle and paperback, the book is a non-fiction memoir of rock music history. 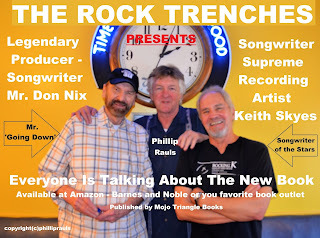 New book "The Rock Trenches" is trending well and popular with different age groups. Plus, no-doubt those previously unseen photographs add credence to the novel text. The book is likely to be filed in store sections featuring 'memoirs', 'non-fiction' and 'music history.' Also, available at Amazon, Barnes & Noble or through your favorite book outlet. New book "The Rock Trenches" brings out the best when it comes to reuniting longtime friends and business associates. 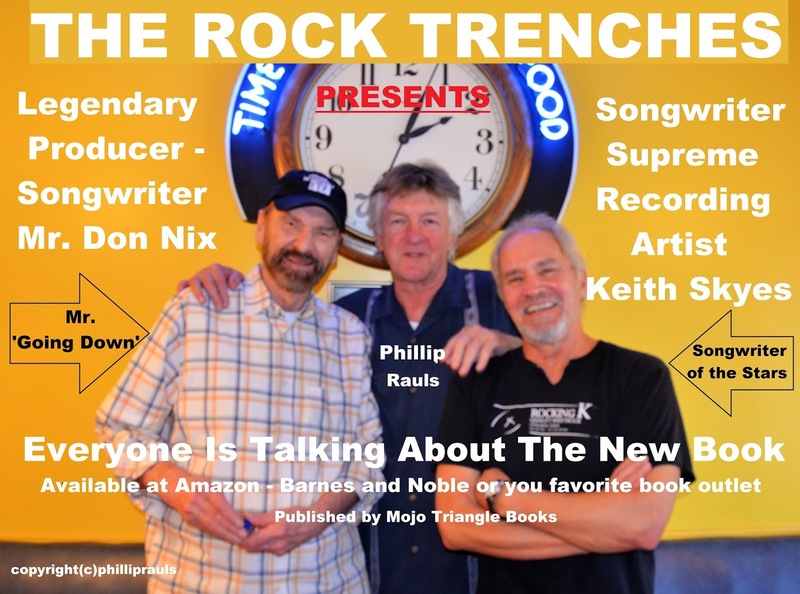 Joined together here are legendary producer-songwriter Don Nix, author of new book "The Rock Trenches" Phillip Rauls and everyone's favorite singer-songwriter Keith Sykes. 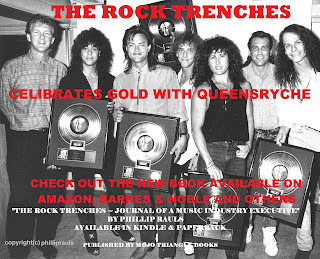 The new book is a journal of authentic stories and photographs of a magical period of Rock music history. 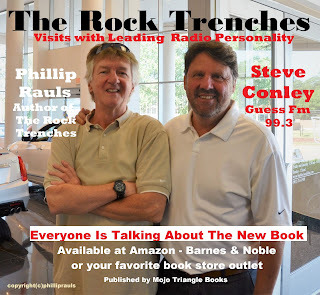 Published by Mojo Triangle Books and available in both Kindle and paperback versions and available at Amazon.com, Barnes & Noble or through local book outlets. 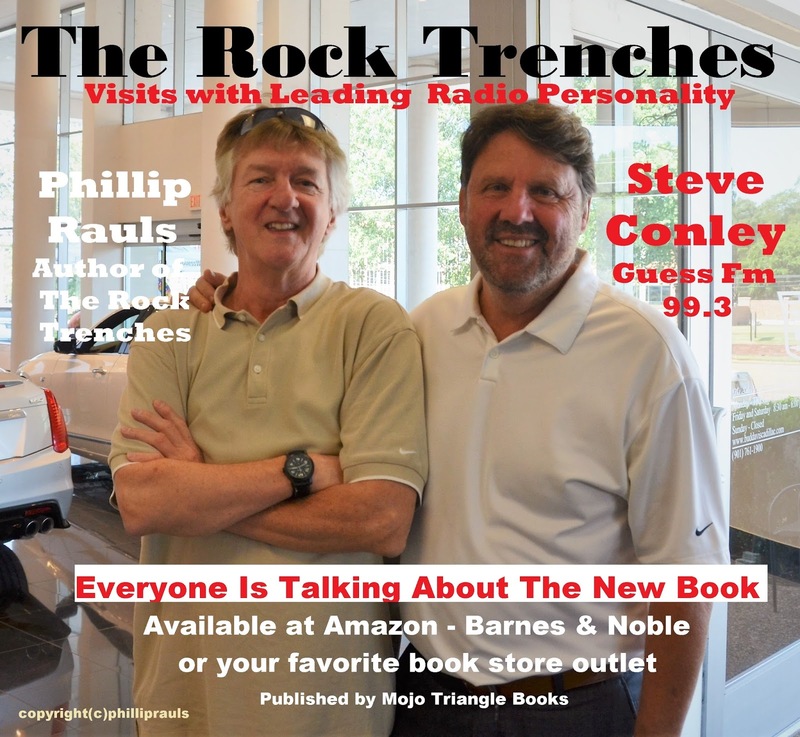 Favorite Memphis radio personality and long time associate Mr. Steve Conley (R) of Guess FM 99.3 shares a moment with book author Phillip Rauls of "The Rock Trenches" during one of Conley's scheduled appearances. The new book features surprisingly untold stories of notable DJ's, legendary recording artists and includes classic archive photos that should be a treat for all music fans. 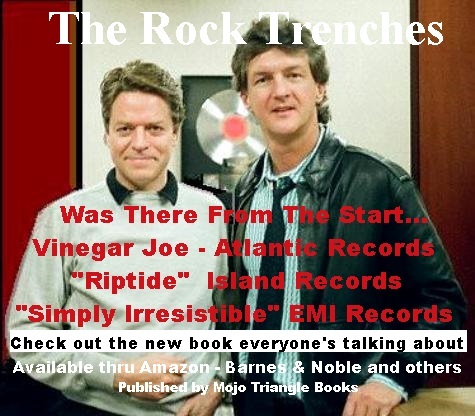 Published by Mojo Triangle Books and available at Amazon, Barnes & Noble or your favorite book outlet.